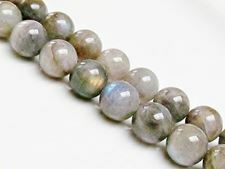 Labradorite has a characteristic iridescence that is called adularescence, which is caused by the light refraction in the microstructure. 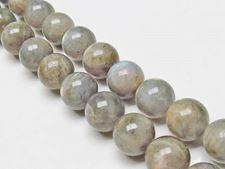 The name Labradorite comes from its finding site, viz. Labrador/Canada. 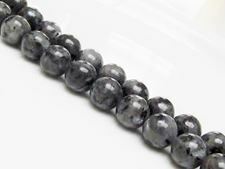 It is said that this gemstone promotes friendship. 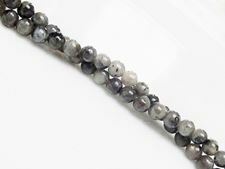 For a stunning effect match your Labradorite with our lovely Czech beads in blue (Capri blue, London blue topaz, aqua) and green-blue (emerald, Celadon) and counterbalance them with a few oranges/amber and/or red beads. Compliments guaranteed. 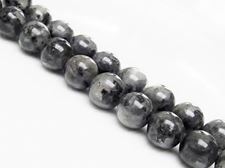 When Larvikite is polished, it acquires the same silver blue sheen as Labradorite, except that it belongs to three endmembers of the feldspar group and contains less than 5% quartz. This type of rock is a variety of Monzonite, often rich in titanium, which is found in Larvik, Norway. 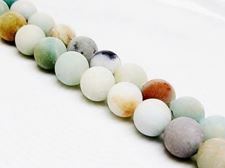 Amazonite is a microcline and belongs to an other series (alkali feldspar) than Labradorite. Although it is not found in the Amazon area, it takes its name from the Amazon River. 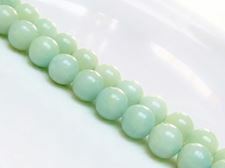 It is a light green, green-blue feldspar; its color is due to small lead impurities. 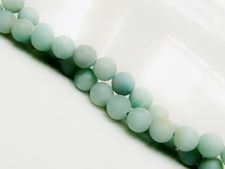 Dune beads' Amazonite has a silky or silvery sheen. 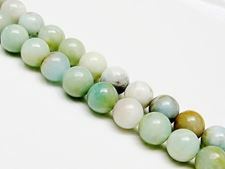 It seems that Amazonite balances between the feminine and masculine energies and opens the door to emotions. 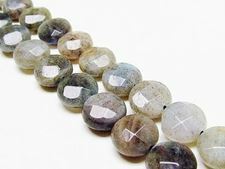 As a consequence, it is a stone that helps to see both sides of an issue and that promotes artistic excellence.